One of my favorite things about our new house is all the wall space! When we lived in Texas our home didn't have many walls, but lots of windows. In our rental home we had one big hallway but that was about it for hanging photos and making gallery walls. In this home we have a nice big hallway wall and a few good walls in the living room, dining room and kitchen! 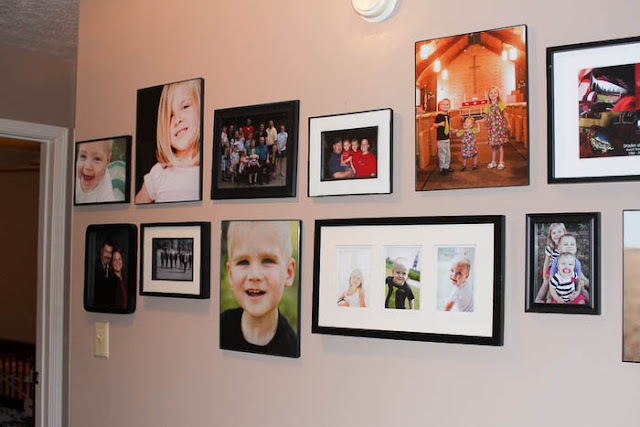 I have more photos of the home to share but I thought I'd start with the gallery walls. The first step is to measure the space you have to work with. Then gather all your frames and lay them out to see how they will look, making sure to stay within the parameters of your space. 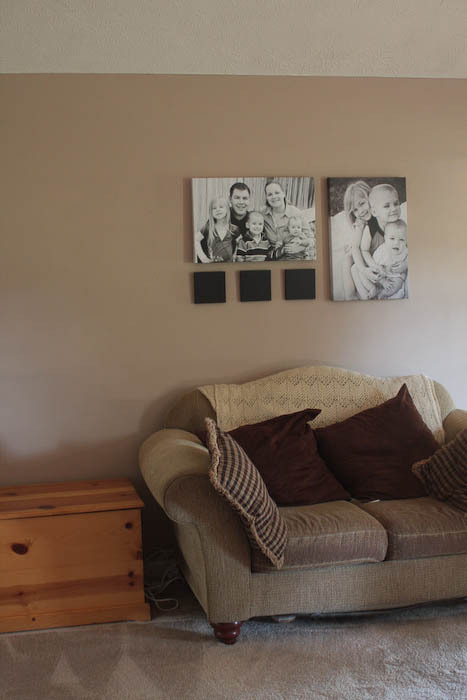 I took a photo just to see what it might look like, after looking at the photo I did move a few of the frames around. 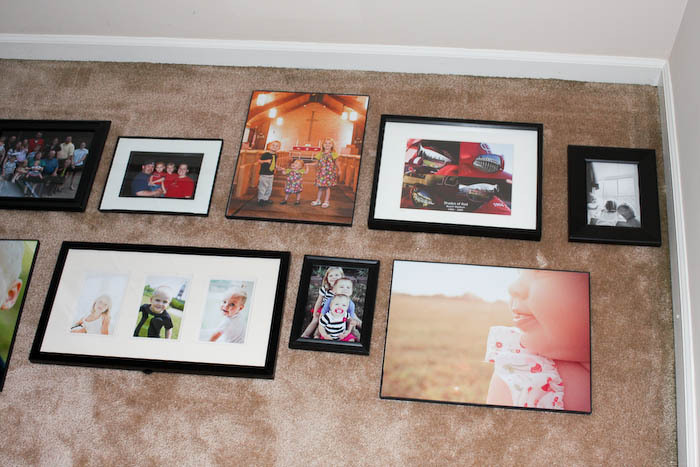 Then I do it the hard way (I'm sure there has to be an easier way) and cut paper to the size of my frame and mark where the hangers on the frames are. 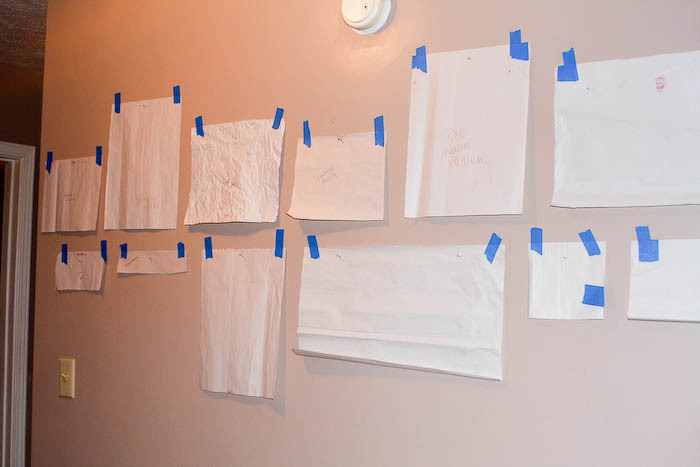 Then I use my level and hang all the papers on the wall where the frames will go. Again, labor intensive but if you want it to look good take your time! 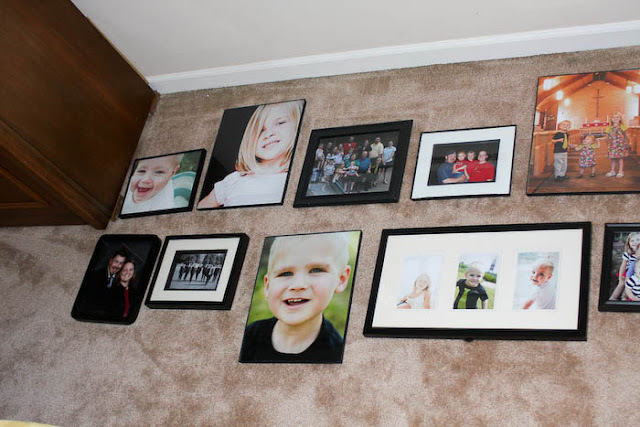 The good thing about doing it this way is less holes in your walls! So then just hammer your nail into the place where your hanger will be (which you can see on the paper because you marked it with a crayon!). 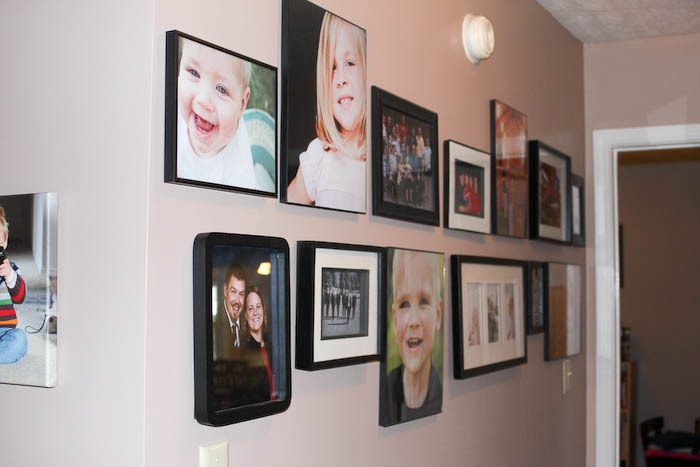 Then hang your photos on the wall! 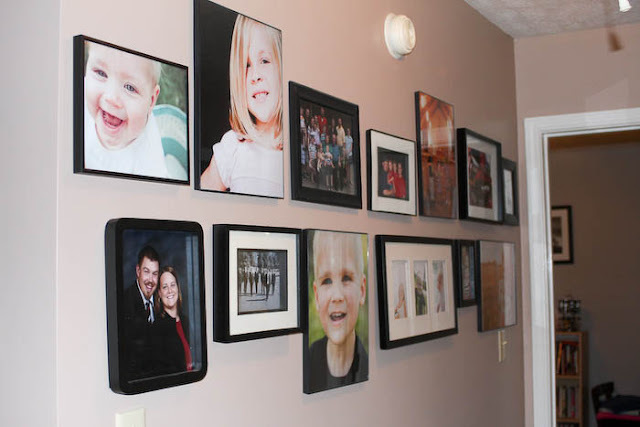 And stand back and admire your gallery wall and all your favorite photos!! 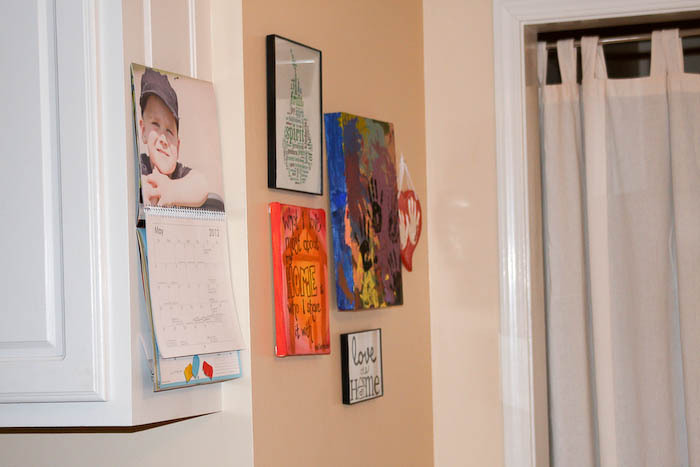 Some of these photos will change...but I love the way it looks in our hallway! 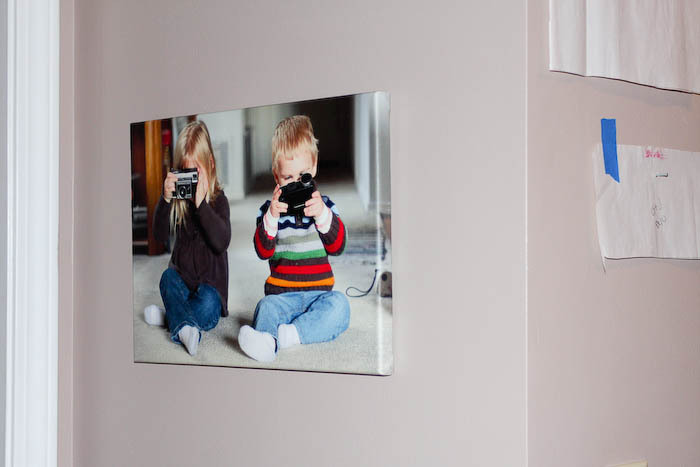 And here's one of my favorite canvases at the end of the hallway right by Hannah and Micah's rooms. 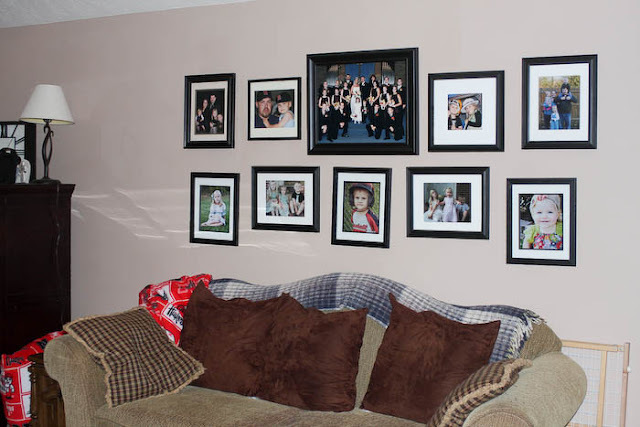 I applied the same principals for the gallery wall in the living room. 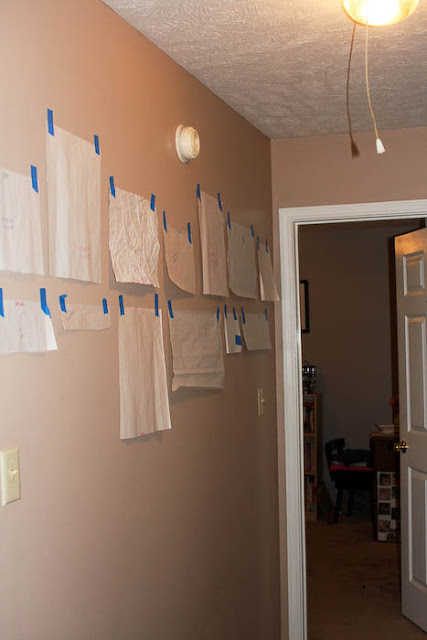 Traced the frames, marked the hangers and got to work. I LOVE this gallery wall and I know the photos will change from time to time, especially in October when baby girl joins the ranks but it'll be my place for my favorite photos!! We've considered adding a vinyl phrase but we're still in the debating stages on that. I'll make sure to update if/when we do add something else! I put a colorful quilt on the couch and it really makes the whole area look brighter and more happy! I just need to re-photograph it!! Here's a photo from instagram of Greg and the kids...the colorful quilt really makes a big difference, plus it's an awesome quilt that Greg's grandma made!! Straight across from the sofa is the love seat with its own little gallery wall. 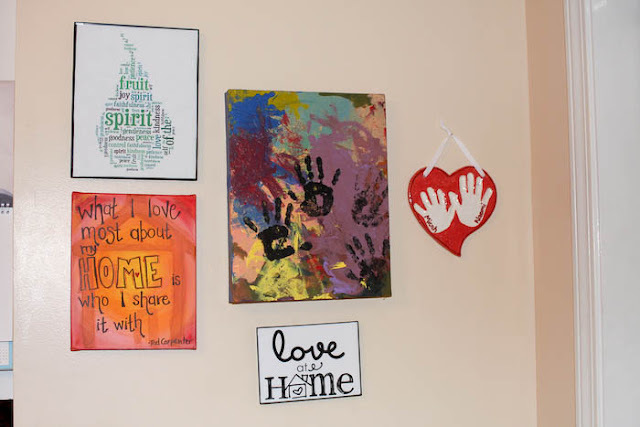 Two of my favorite canvases and three little chalkboard painted canvas boards. I have plans for the chalkboards but just haven't done it yet. Will update again when I finally get around to it!! 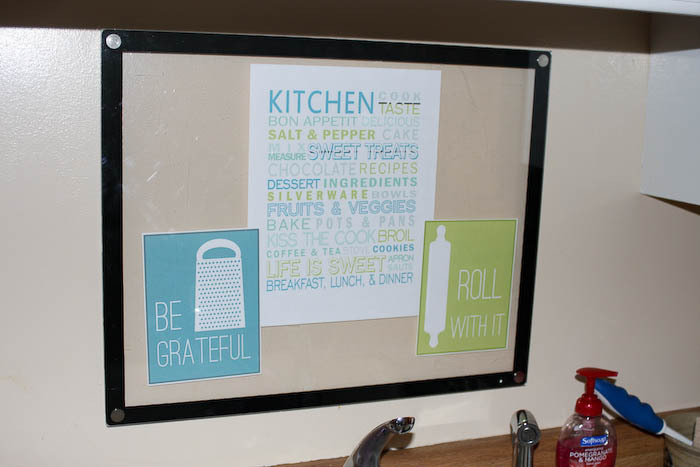 In my kitchen I've got some great wall space too. I started my own little gallery wall here and plan on adding to it periodically. I have another thing to hang above the handprint canvas, I just have to finish it. Do you see a trend here? 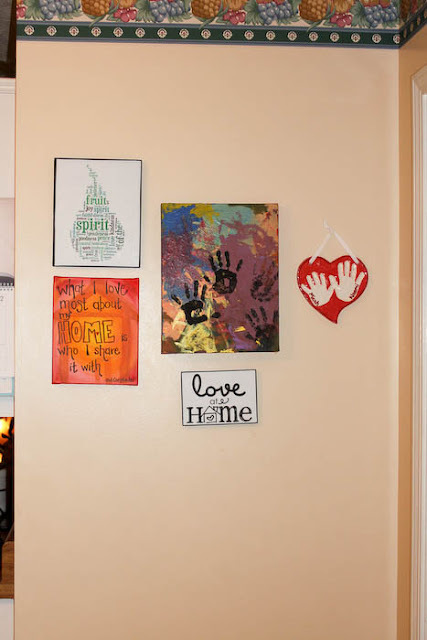 I found the "fruit of the spirit" printable online and also the "love at home" online. I haven't totally decided on colors for the kitchen but I think I'm going to go with a teal and green color scheme...we'll see how that pans out! This is hanging above my sink. 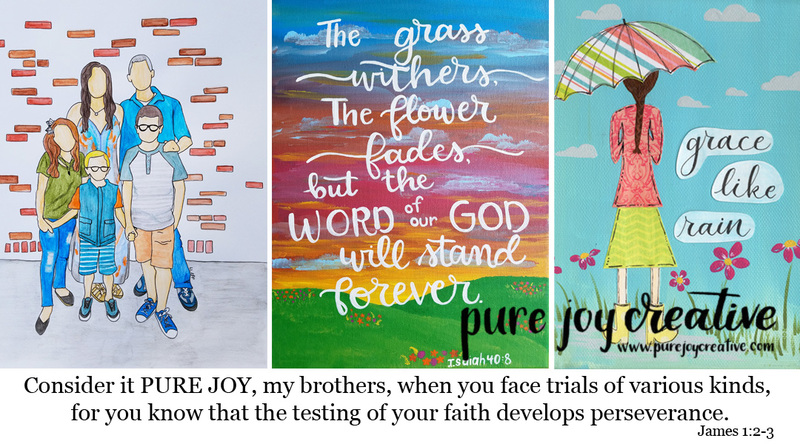 I plan on changing out the printables from time to time and adding in some scripture verses. This would be a great place for me to see scripture and work on memorizing it since I stare at this wall more than I'd like to!! 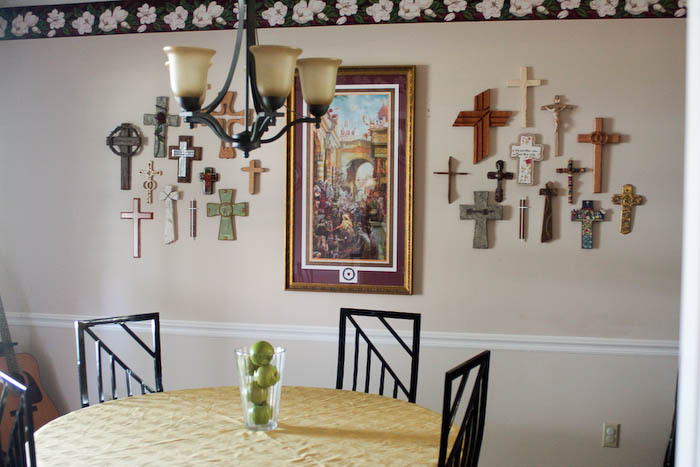 And this is our famous "cross wall". 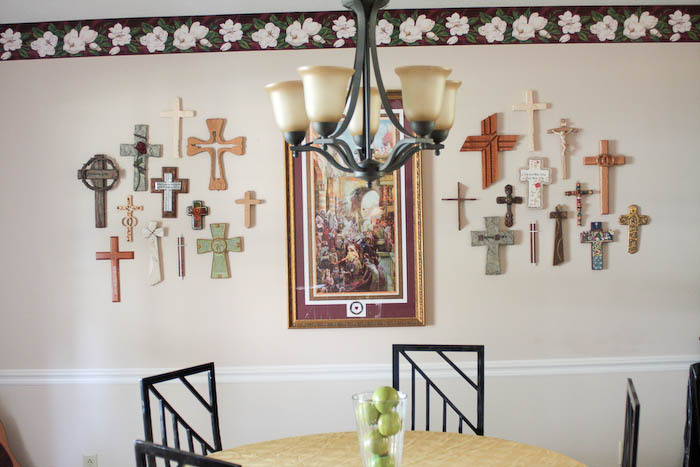 I think the cross wall originated with someone in Greg's family because I'm pretty sure every member of the family has one someplace in their house. I really need to get a better photo of that framed print, it is SOOOO beautiful. It's called "Triumphal Entry" and was painted by a former athiest. 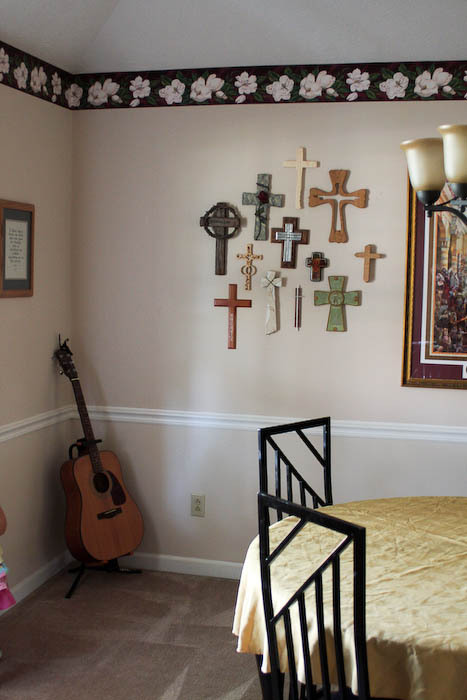 Greg got it as a gift from Lutheran World Relief and Human Care and we had it framed with gifts from church members. Each of those crosses are special to us...some more than others, but I love how this cross wall turned out and it looks great in our formal dinning room! 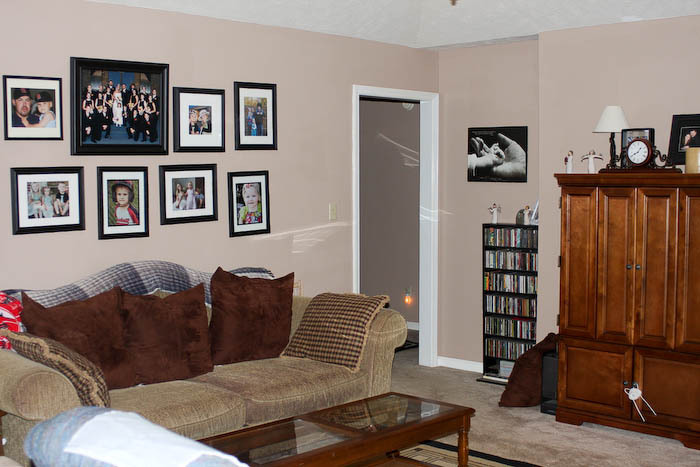 I hope to get more of the rooms in our new house photographed soon so I can share them with you. But we've got some work to do. Some of the rooms (all the bedrooms) are still a mess and a work in progress!! 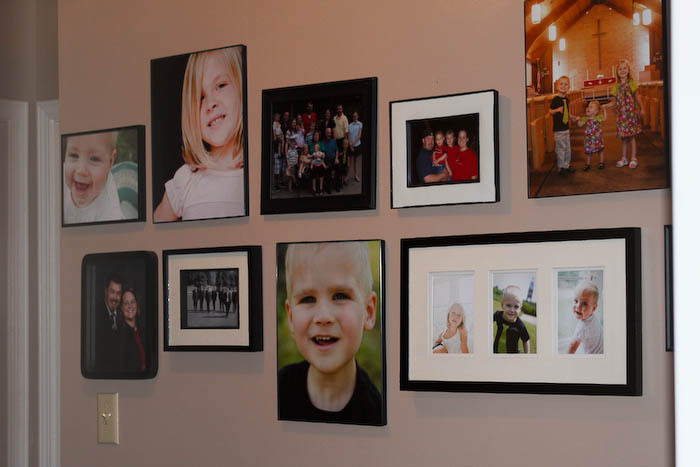 Hope you enjoyed the photo gallery wall tour!! Do you have a gallery wall in your home? I'd love to see it!